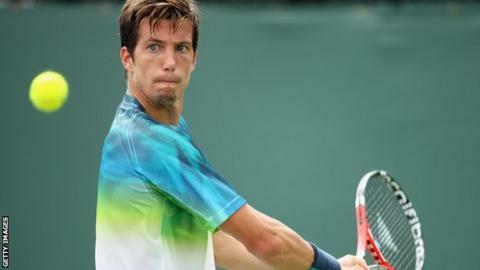 British number two Aljaz Bedene will play Rafael Nadal at the Monte Carlo Masters after beating Lukas Rosol in round one. The Slovenia-born 26-year-old beat 30-year-old Czech Rosol 6-2 6-3 in just over an hour. Spaniard Nadal, 29, is the fifth seed and received a bye into round two. British number one Andy Murray also enters at the second round and will play French qualifier Pierre-Hugues Herbert, 25, on Tuesday. The 28-year-old Scot is also competing in the men's doubles, where he and partner Dom Inglot progressed to the second round by beating Pablo Cuevas and Marcel Granollers 6-3 6-4. Murray and Englishman Inglot next play Edouard Roger-Vasselin of France and Serbia's Nenad Zimonjic.